Scandinavia’s leading provider of electronic goods, Elkjøp, achieved a one-third increase in online revenue in just one year. The Norway-based company is pursuing an omni-channel strategy to create a rich and ubiquitous customer experience—from its brick-and-mortar stores and online shop to its customer service center. When searching for the necessary e-commerce platform, the most important criteria for Elkjøp were scalability and stability across all digital channels. Intershop was the perfect match. Intershop helped Elkjøp achieve a 30% increase in online revenue in just one year. Elkjøp operates nine websites in five languages—all on the Intershop e-commerce platform. PriceSpy named Elkjøp’s Swedish store as its online shop of the year in the “Sound and Vision” category. Provide a scalable and reliable e-commerce platform with exceptional stability, including at peak times with high user volume. Support multiple payment methods and delivery options and integrate all online and offline channels in line with Elkjøp’s omni-channel strategy. Use responsive web design to create a perfect user experience on mobile devices (e.g., smartphones) and enable single sign-on via Facebook or LinkedIn. 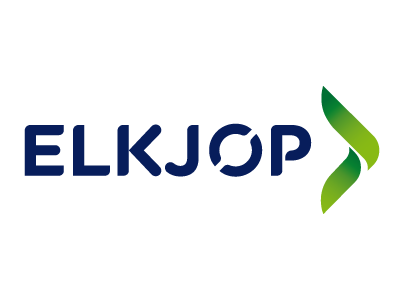 Thanks to Intershop Commerce Management 7, Elkjøp can easily scale its online business internationally. The enterprise-wide e-commerce platform offers optimum support for overcoming language and currency barriers. The Intershop platform provides product and customer data for all individual countries via a powerful content management system. It also enables centralized management of logistics, payment systems, promotions, and marketing. Flexible: the Intershop platform supports centralized control of all online shops as well as local adaptation. More conversions: less cart abandonment thanks to the integrated on-site search and recommendation engine from FACT-Finder. User-generated content: customer reviews and recommendations via Bazaarvoice. We are constantly developing our online shop to improve the user experience and simplify the purchase process for our customers. Our website is geared toward the mobile lifestyle and specific needs of our customers. The Intershop platform is extremely stable and secure—two critical factors when it comes to testing new markets.